Friday night’s 8-goal outburst by BU exceeds by one the most goals the Terriers scored in a game last season. Last October, BU upended Wisconsin, 7-3. If you missed the highlights of BU’s win over UMass, here they are again. The Daily Free Press talked with freshman Connor LaCouvee about the goalie’s strong performance in his college hockey debut. SB Nation offers evaluations of some of the draft-eligible, free agent and drafted Terriers, based on their opening game performance. With all the interest in heralded freshman Jack Eichel, who is expected to be one of the top two NHL draft picks in June, it isn’t surprising that one hockey site, The Hockey Writers, has set up a “Jack Eichel tracker.” The first entry reviews his efforts vs. UMass. 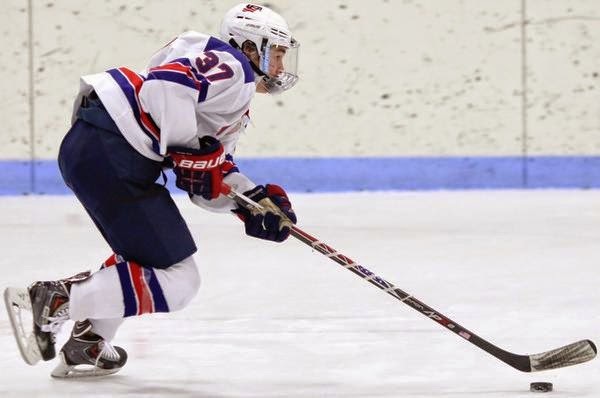 2016 recruit Clayton Keller earned first-star honors with two goals and an assist as the NTDP U17s defeated Minnesota Elite League’s Team Southeast, 8-2. The Swansea, Ill. native, who led Shattuck St. Mary’s Prep to a national U18 championship, is the U17s current top scorer with six points. 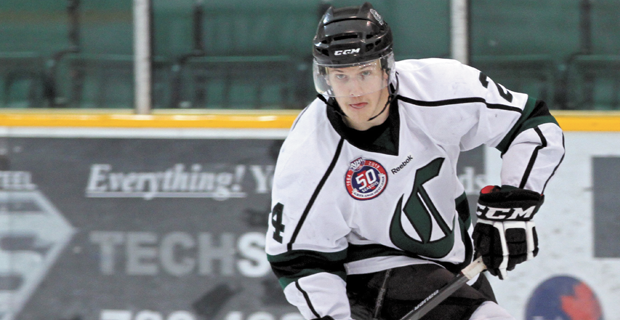 2015 recruit Sean MacTavish registered his first USHL point in Waterloo’s 6-4 win against Sioux Falls. 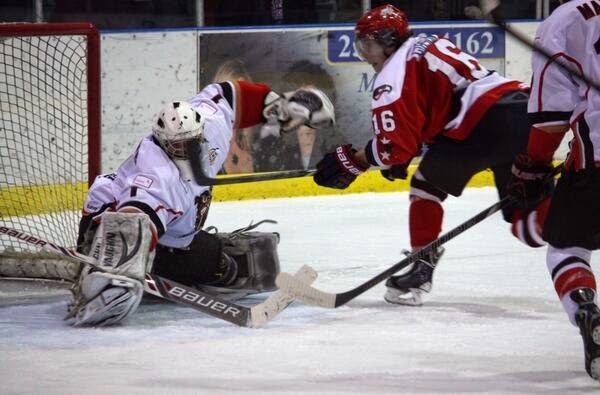 Last season, MacTavish, who is the son of former NHLer and current Oilers General Manager Craig MacTavish, was the third leading scorer in the Alberta Junior Hockey League, earning all-rookie honors with the Sherwood Park Crusaders. 2016 recruit Vas Kolias assisted on two goals in Youngstown’s 3-2 win against Bloomington. 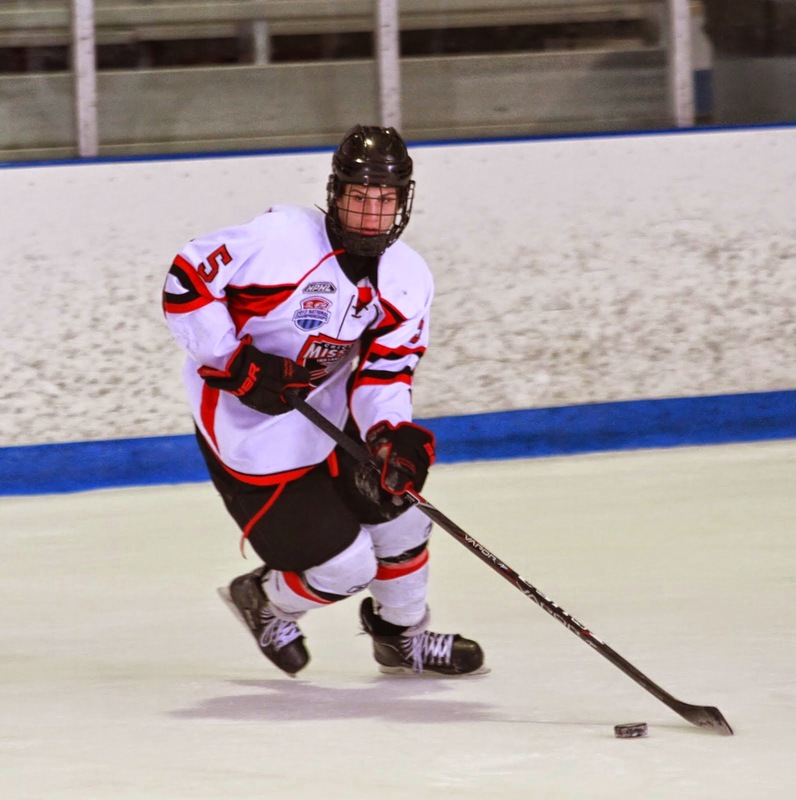 The 5-9 defenseman from Schaumberg, Ill., starred for the Chicago Mission U16s last season. Nick Bonino scored his first goal for the Canucks as Vancouver rallied from a 4-2 deficit for a 5-4 shootout win. 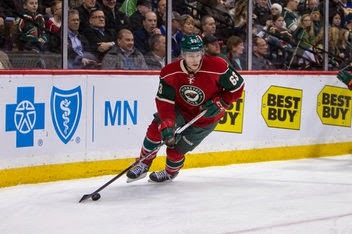 Charlie Coyle deflected home a shot just two minutes into the game as Minnesota blanked Colorado, 3-0. Former Terrier, NHLer and Olympian Clark Donatelli has signed a three-year extension to his contract as head coach of the Wheeling Nailers. 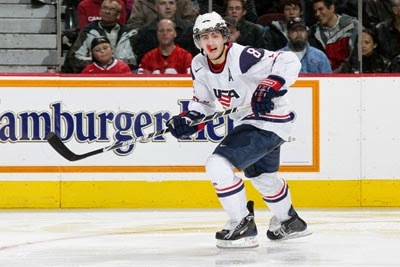 The Providence, R.I. native, who scored 135 points as a Terrier, enters his fourth season behinds the Nailers’ bench. Terriers dropped a 5-3 decision in an exhibition game against the Canadian Women’s Hockey League’s Boston Blades. The teams were tied at 2-2 after the second period, with both BU goals coming off the stick of sophomore Samantha Sutherland (photo). The Blades took the lead early in the third only to have freshman Victoria Bach knot the score again with just over two minutes remaining. But the Blades, whose lineup included former Terriers Tara Watchorn and Kaleigh Fratkin, scored the game-winner a minute-and-a-half later, then added an empty netter. Victoria Hanson and Erin O’Neil split the netminding duties for BU, with each yielding two goals. Prior to the game BU raised its 2014 Hockey East Championship banner and its updated NCAA tournament banner following another appearance in 2014.